2 layer board of 1.90 x 0.95 inches (48.2 x 24.2 mm). Uploaded: August 22nd, 2014 15:54. 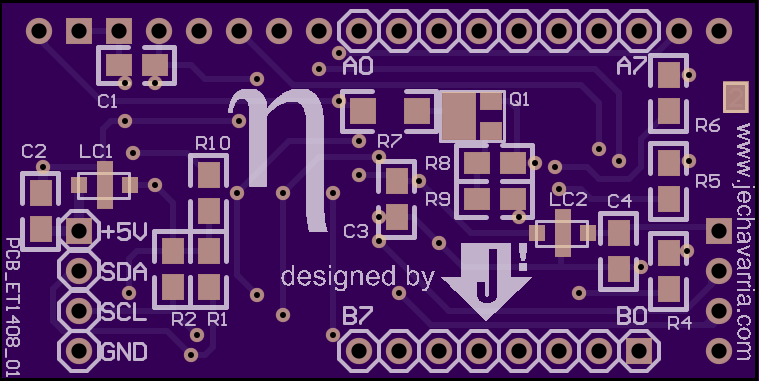 Use I2C to drive 16x2 LCD, optional RGB backlight, PWM. 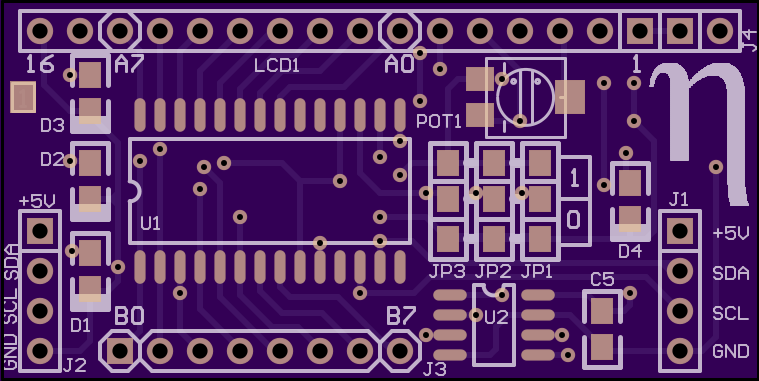 Uses SOIC chips for small footprint. All circuit and layout by J Echavarria.